We are a friendly professional Chauffeur company that provides a full VIP service to everyone and We guarantee Satisfaction for punctuality, cleanliness, safety and politeness. We believe that if we provide you with a clean, comfortable, efficient service that gets you where you need to be on time for a very reasonable price then you'll recommend us to your friends, your family, your work colleagues and to your clients. 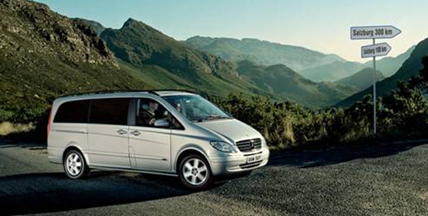 the Luxury Mercedes Benz Viano Ambiente. 7 passenger seats also available.